The Android 3.1 platform (also backported to Android 2.3.4) introduces Android Open Accessory support, which allows external USB hardware (an Android USB accessory) to interact with an Android-powered device in a special "accessory" mode. 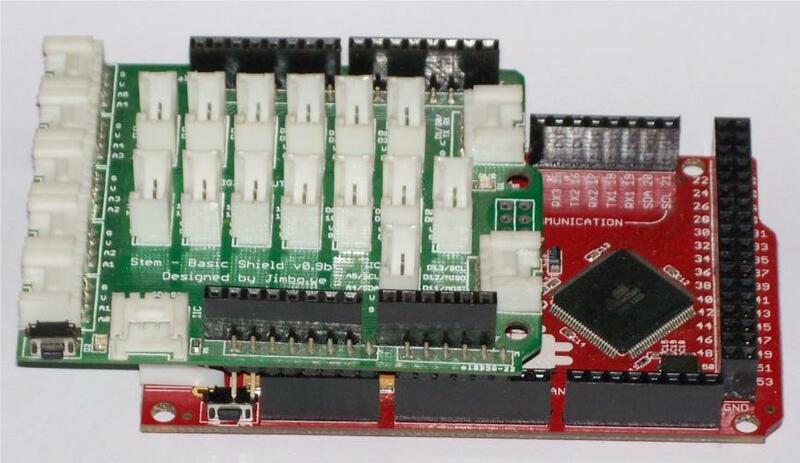 Based on the Google’s ADK reference design, we merged advantages of Seeeduino into our Seeeduino ADK Main Board. 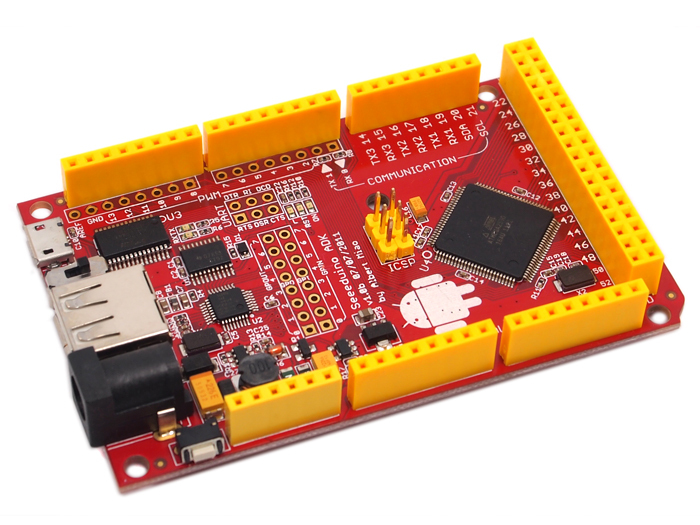 Now connect Seeeduino ADK Main Board to your Android mobile device and get started developing your custom accessory. 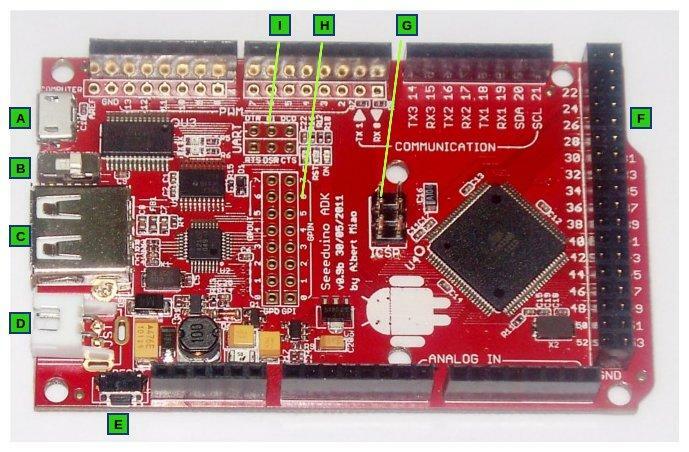 The following image illustrates an application example of Seeeduino ADK Main Board with an Android Mobile. It runs the demo application based on MicroBridge provided illustrated this page. All basic electronic components are taken from Arduino Sidekick Basic Kit . Set the VCC slide switch to 5V. Connect the Seeeduino ADK Main Board - Micro USB to PC USB port. Set the Board type in Arduino IDE to Arduino Mega 2560. Compile the Demo Sketch and upload to Main Board. Install Android Platform Development Software. Import the demo Android app to Eclipse Workspace. Connect the mobile to ADK Main Board. Enable ADB in your Mobile device if not already enabled. This is only for MicroBridge. The sample applications and library are available in the resources section. 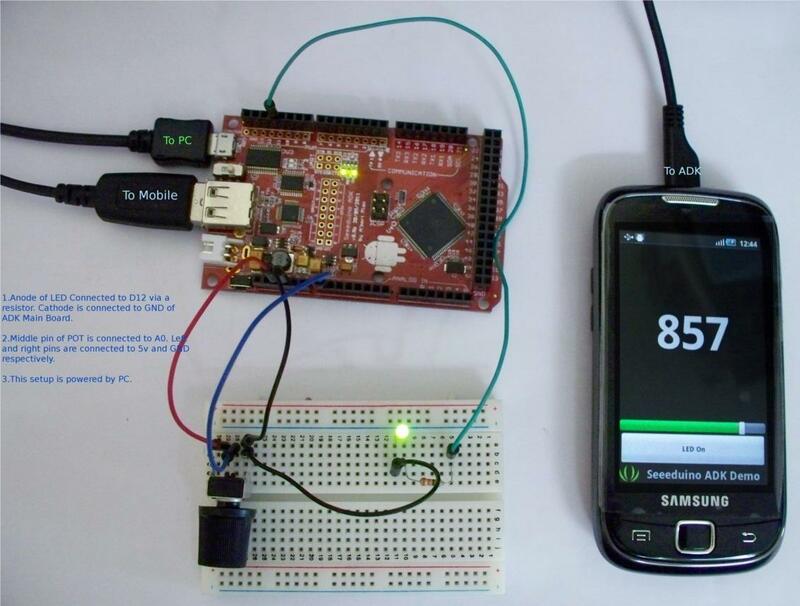 The following Arduino Sketch and Android code are commented well explaining the usage. 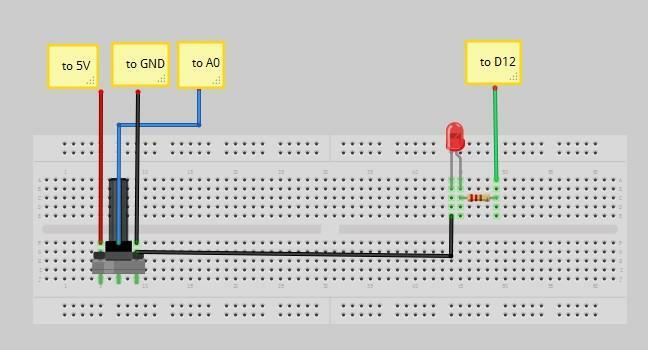 //Seeeduino ADK Demo using Niels Brouwers' MicroBridge library. // Elapsed time for ADC sampling. The rate at which ADC value is sent to Android device. //State of LED. Initially OFF. // This event handler is called whenever data is sent from Android Device to Seeeduino ADK. // Any data / command to be sent to I/O of ADK has to be handled here. // to ADK via IIC or Serial Port. // The size of data is predetermined for this application. Android device also uses the same size. //Check if ADC needs to be sampled. //Send the ADC value to Android device as two bytes of data. * using Niels Brouwers' MicroBridge library. * Android Device: Any device with Android v1.5 which supports ADB(Android Debug Bridge). * This application uses a very simple (or a trivial) design to make it understandable. * 2.Android device controls the state of a LED connected to Digital Pin 12 of ADK Main Board. *   A Button Widget used for this. // Create TCP server (based on  MicroBridge LightWeight Server). // Note: This Server runs in a separate thread. // UpdateData Asynchronously sends the value received from ADK Main Board. //Init TextView Widget to display ADC sensor value in numeric. Visit Android ADK Developer page for complete documentation on how to use Accessory API. Seeeduino ADK Main Board can be used as Seeeduino Mega 2560. It also works well with GROVE System. The Grove - Base Shield can be used to connect the numerous Grove modules available. 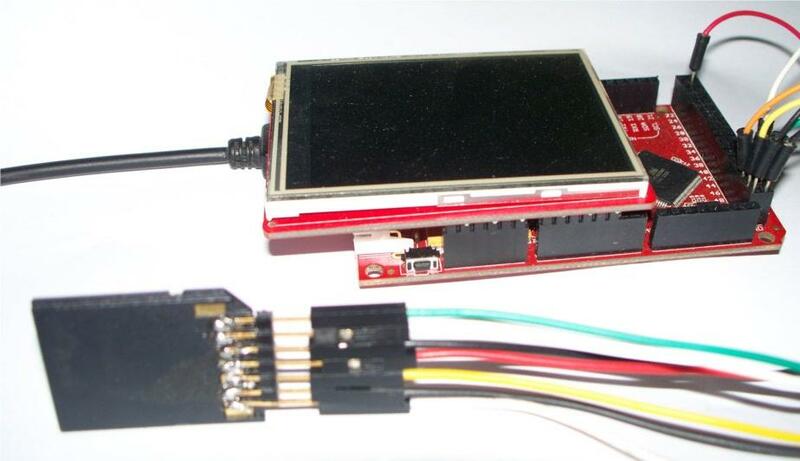 And following is a demo showing 2.8%27%27 TFT Touch Shield working with Seeeduino ADK Main Board. Download SD Card library and install it to Arduino folder. 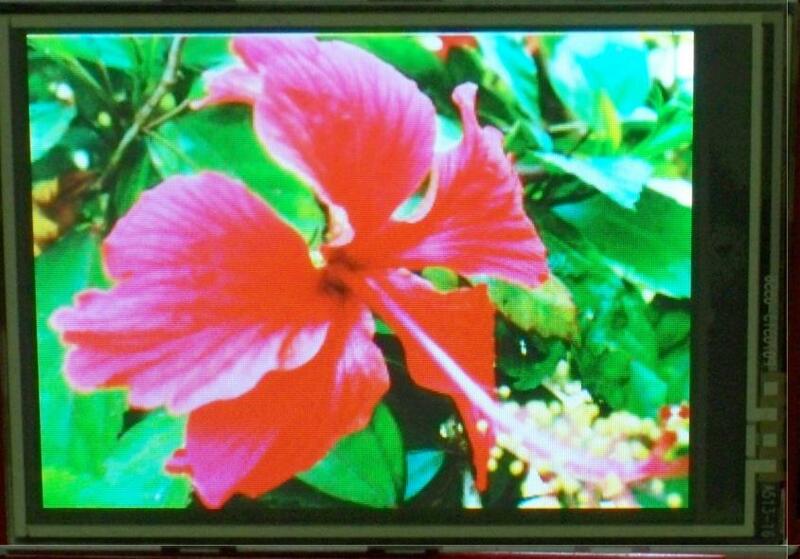 Refer 2.8'' TFT Touch Shield for more information. Oleg Mazurov of Circuits@Home is the one who originally designed USB Host Shield based on MAX3421E. This was adapted by Google's ADK Referece Board. His site has tons of information and code examples to use MAX3421E based USB Host Shield to with USB keyboard, Mouse, Bluetooth Dongle, Wii Remote, etc.